But by using records kept by the Earth itself, that history can be extended back hundreds or even thousands of years. In a study published Wednesday in the journal Nature, a group of researchers has knitted together such natural records — found, for example, in coral reefs, ice sheets and caves. 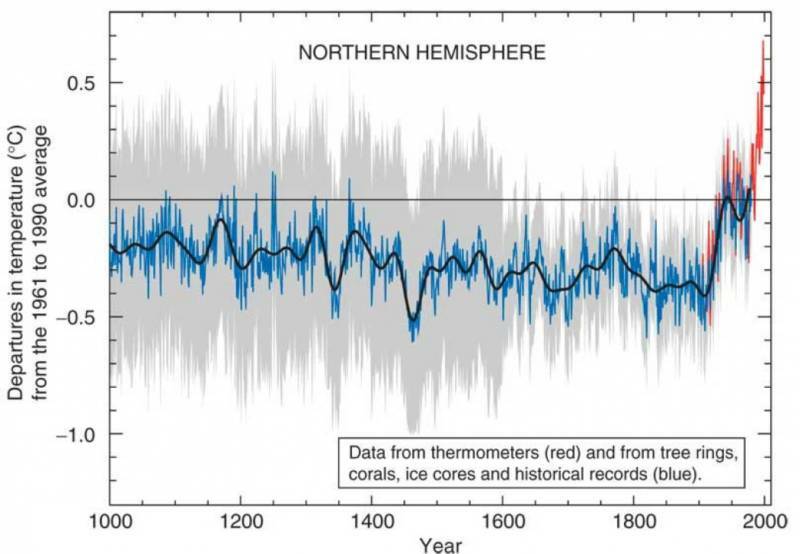 They used those records to trace the thread of human-driven warming back to what they say is its beginning, nearly 200 years ago, when the coal-burning that took off with the Industrial Revolution was still revving up. Though the impact then on temperatures was small, it is measurable in certain regions, the researchers say. Some climate scientists not involved in the research quibble with just how much of that early signal can actually be attributed to greenhouse gases. However, there is broad agreement that the study reinforces the importance of the starting point that is used when evaluating how much the Earth has already warmed and how close we are to breaching international climate goals. When international negotiators forged an agreement last year on limiting temperature rise this century, they settled on a threshold of 2˚C from pre-industrial times (with some talk of tightening that limit to 1.5˚C). But exactly what period is picked to represent the pre-industrial era is key. Comparing temperatures today to the beginning of the instrumental record is problematic because at best that record goes back only to the 1880s, when some warming had likely already occurred. But the Earth itself keeps records of how climate has changed over millennia, in the growth of coral reefs, the layers of ice laid down in glaciers, and the rings added each year to trees. The study authors worked with a consortium that has brought together records from different sources from spots all over the world and worked to put them together into a coherent picture of past climate change. 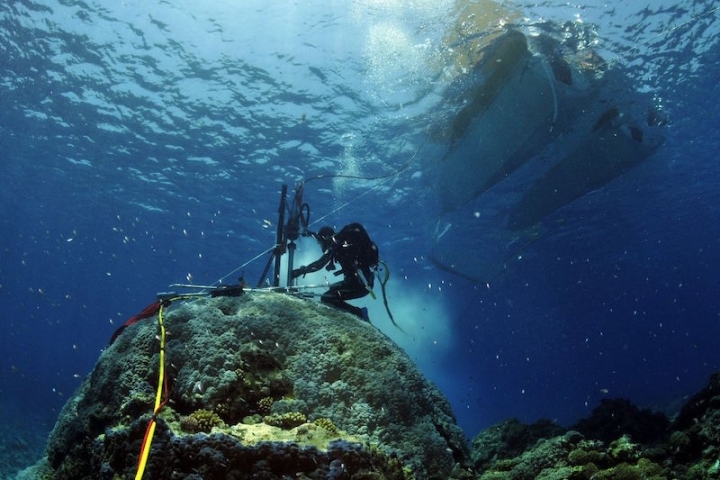 The record includes new reconstructions of sea surface temperatures, something often left out of such projects because of the difficulty of obtaining ocean records, Abram said. The reconstruction allowed the group to examine global and regional temperature records going back 500 years. With that extended record, they picked the period 1622 to 1799 as their preindustrial era. That period is “definitely before we really started burning any significant amount of fossil fuels,” NASA climate scientist Kate Marvel said. Using statistical analyses, the team picked out a small, but measureable, increase in temperatures as early as the 1830s for some regions, including the tropical oceans, as well as the Northern Hemisphere more broadly. The findings are “further evidence that the climate has already changed significantly since the pre-industrial period,” Ed Hawkins, a climate scientist at the University of Reading in England, said in an email. These changes wouldn’t have been noticeable to people at the time. It was only in the 20th century that warming pushed the climate outside of what would be seen from natural variations. That natural variability also explains why the warming signal emerged first in the tropics — year-to-year variability in that region is very low, which means the signal is easier to tease out. The study also found that the rate of warming of the tropical oceans was about the same as that of the continents in the Northern Hemisphere. Unsurprisingly, the Arctic showed the highest rate of warming. Warming in the Southern Hemisphere, however, was delayed compared to the Northern Hemisphere in the reconstruction, though the researchers aren’t sure why, particularly as climate models don’t show that delay. Some possible explanations include a higher variability of the Southern Hemisphere climate, as well as some unappreciated aspects of how sea ice might regulate the climate. There is also a relative dearth of data compared to the Northern Hemisphere. More specifically, a clear warming signal has yet to emerge for Antarctica, which could be because the continent is somewhat isolated from broader climate changes by both atmospheric and oceanic currents that encircle it. “Antarctica sort of does its own thing,” study co-author Nicholas McKay, a climatologist at Northern Arizona University, said. 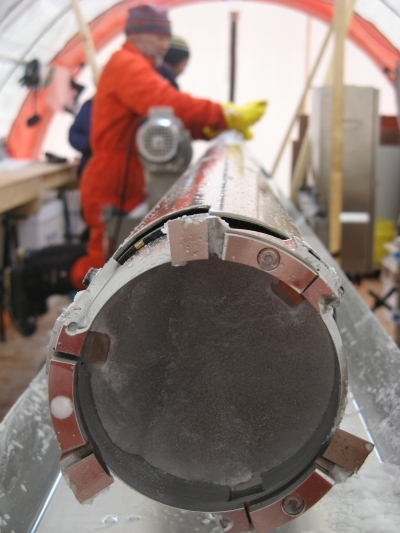 The researchers were surprised that they found such an early onset of warming, both Abram and McKay said. At first they suspected that the initial warming was actually the climate rebounding from the cooling impact of two major volcanic eruptions in the early 1800s, and that greenhouse warming took over later. “But by testing our methods, and by looking at when warming develops in climate model simulations where only greenhouse gases are changed, we were able to show that the early warming is a small but detectable signal that can be explained by the small increases in greenhouse gases that were already happening in the mid 19th century,” Abram said. Michael Mann, a Penn State climatologist, who put together the famous “Hockey Stick” climate reconstruction, still thinks that more of that early warming is due to the rebound from volcanic cooling and that a more rigorous analysis is needed to tease out just how much warming can be attributed to greenhouse gas-driven warming. Mann does agree, however, that warming goes back further than instrumental records can show and that today’s temperature rise should be compared to an earlier baseline than it currently is, or we risk underestimating warming. This was the point that other climate scientists said was the main contribution of the study.